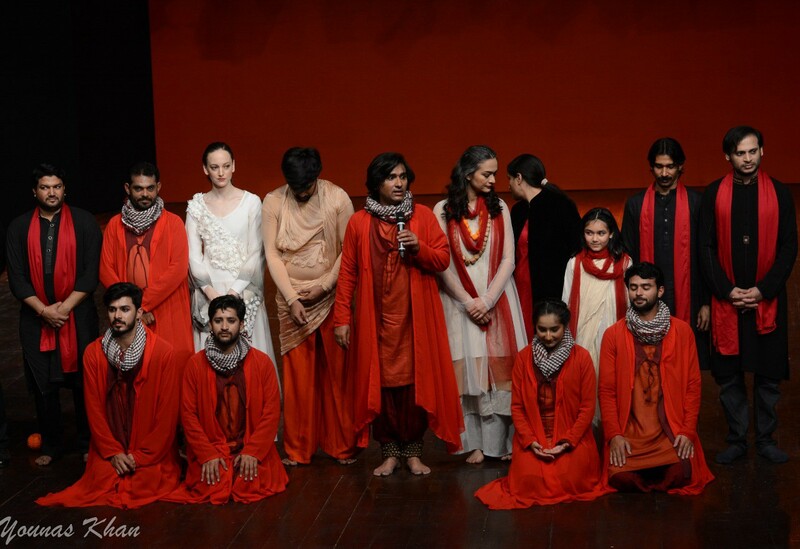 Stories of an American dancer/choreographer spending 4–5 months in Lahore, Pakistan working to expand the nascent contemporary dance scene. Adnan’s house is the house of an artist. It is not a show house — there is no dedicated sitting room or hidden kitchen where the cooks prepare food. What might have been a sitting room functions primarily as a studio, though it can also become a photography studio. Costumes, both for the upcoming show and past productions, spill out and multiply as the show approaches. At almost every hour of the day, dancers and musicians fill the house. 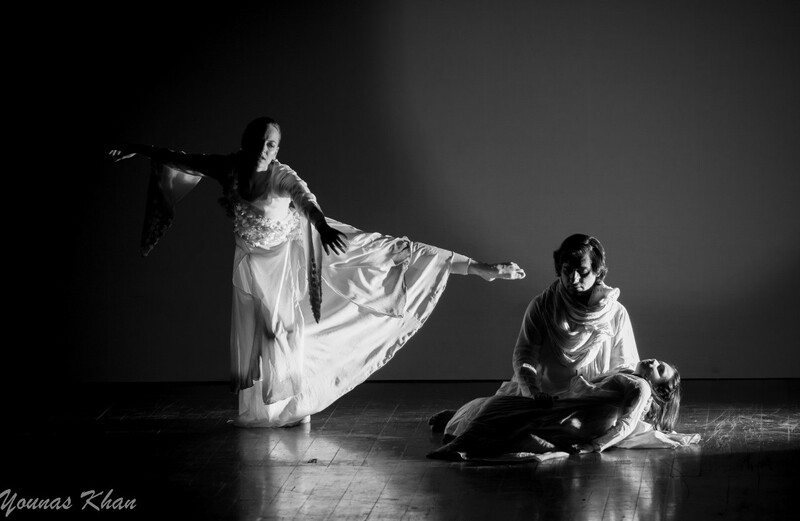 The rhythms of kathak, traditional vocals, and instruments mix with the games of Adnan’s two young daughters. Food is a bit of an afterthought, brought out around and after rehearsals. The closer the show comes the longer the dancers stay and congregate by the food. We use the roti as utensils, pinching the food in between to eat. I stopped trying to use forks and spoons early on. The production was a twenty four hour experience, because not only was I staying in the house, I couldn’t really leave. That particular area of Lahore is generally prohibited for foreigners without a special pass, the only place in this city I can’t travel freely. There was more than enough in the house to watch and learn, however. On two of the evenings, I was invited to join a wedding of Adnan’s nephew. Weddings are three-day affairs — the first a day of dance and music (ironically one of the few times that dancing is considered acceptable, though unfortunately we missed this day). The second is arranged by the bride’s family, when the groom’s family comes to the bride’s house. The third day is arranged by the groom’s family, when he brings the bride back. We attended the final two days, both in large banquet halls. The menu is the same — naan with chicken curry. There was pink Kashmiri tea, which is evidently an acquired taste, and carrot halwa, likewise. Neither is bad, but new and my tongue didn’t quite know what to make of it. Adnan’s wife lent me proper clothes, a long sweeping embroidered tunic and wide trousers the first day and a sari the second day. The sari required many bobby pins. The drape on my shoulder was a richly decorated purple material. With the many drapes and folds and pleats of the skirt and the draped design, I felt rather royal. It was altogether too fancy for me, and I much preferred the tunic and trousers. The banquets themselves were bright and loud bursts of people, fancy clothes and family resemblances. The bride and groom, for the most part, sat at the high table and smiled their way through endless photos with every possible family relation. I attracted a few curious looks, but not as much as I was expected. Of course, I can’t understand yet the questions, and later Adnan told me he fooled his cousin into thinking I was his new wife. She didn’t have the courage to ask his wife, who was present, to verify, and eventually the joke was revealed. I didn’t bother to ask on the legality of it — it didn’t seem the time. At first, Adnan’s team of kathak dancers (4 male and 1 female) didn’t know what to make of me. When I first came to the house (the day of the impromptu audition), they kept their distance. At the first rehearsal in Olomopolo, they watched somewhat confusedly as I did my warmups and exercises. The second day, when Adnan’s daughter asked (on her father’s request) how to exercise, one tried to join in. Slowly, over the following days at his house, they started to reach out more, asking if I understood Urdu, if I knew their names. When I did my warmups, at least one or two would follow gamely along, laughing and half-complaining how hard it was. It is not usual for single women, especially not foreigners to be out and about here. It’s not that it’s not safe, people assure me, just that it’s not really done. Waiting for a driver to come, or walking down the road, cars slow down at their inhabitants gawk or call out to ask why I’m there. When I was navigating the great challenge that is Emporium Mall, men on the escalator behind me were speaking English to get my attention. 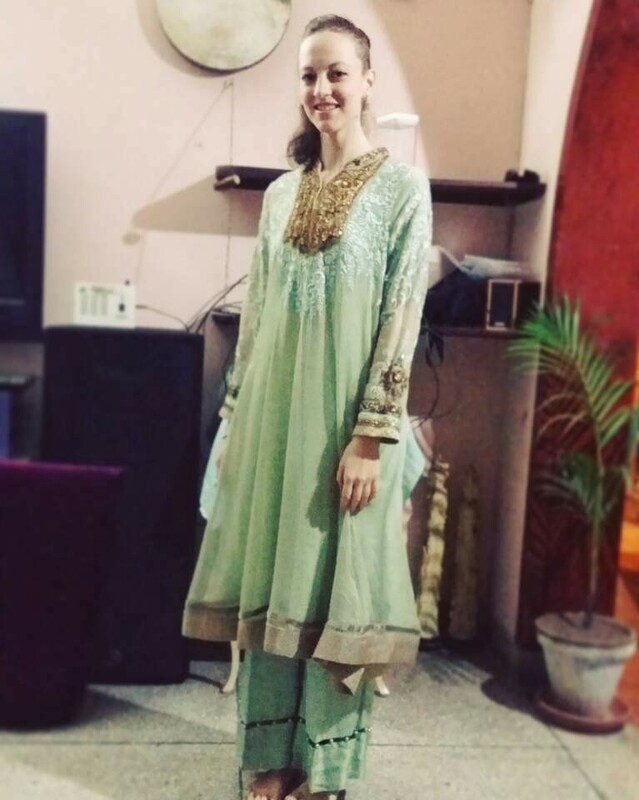 I did not feel insecure (heavens knows this behavior is not unique to Pakistan, as any woman will know), but I did have my walls up. In contrast, the respectful distance of Adnan’s kathak dancers was welcome and pleasant. By the end of the production, there was a genuine companionship that I deeply appreciated — and miss, now that I’ve moved on to another house, and other projects. Most of them (the woman excluded, who is still in high school) drive motorcycles. One told me he lives in the old walled city. I wonder a lot about their lives. I’ve been privileged thus far to be mostly around the elite or upper class here, to see a life that is very comfortable and luxurious (by my standards). The dynamics of class and social standing are strong here, both similar and different than that of Korea. I notice it, and wonder. The performance itself was a whirlwind. The performing arts are not considered a real profession here, and nobody can afford to prioritize the time for it. The musicians Adnan contracted a month in advance all dropped out, leaving him just a few days to train and rehearse with the new ones. Before the performances all performers and musicians only had one full run through rehearsal together, and that was missing one dancer. I was ready to dance his part up until the very last evening, when he managed to get free. Even the day of, there was no technical rehearsal, only a sound check. The first time all the elements came together was during the performance itself, and then 30 minutes after the communicated start time (a respectable delay, according to the others, as it’s normal for productions to start 30 minutes to 1 hour late). Alhamra Arts Center is a complex of halls and auditoriums in brown brick. Hall one sits close to seven hundred people, the seats so steeply raked the audience appears like a wall of people from the stage. The wooden stage is clearly best for kathak, the sound of the feet rhythms carrying well. After the performance ended, I stood onstage and looked out. From the sets to the costumes, everything was red — I was wearing red trousers under a white dress, but it appeared all white, sticking out harshly in the lights. Several people were standing as they applauded, clearly forgiving any mishaps they might have seen and responding to the emotion. I might have felt alone, but I didn’t. I was onstage, I had performed, and therefore, I was home. Stay tuned for more updates and reflections from Lahore! Dancer/choreographer causing magic and mischief somewhere in the world. Currently based in Lahore, Pakistan.